Profusely illustrated with colour photographs and line drawings, this is an in-depth study of clothing from Post-Pharaonic Egyptian featured in the Whitworth Art Gallery’s acclaimed collection. 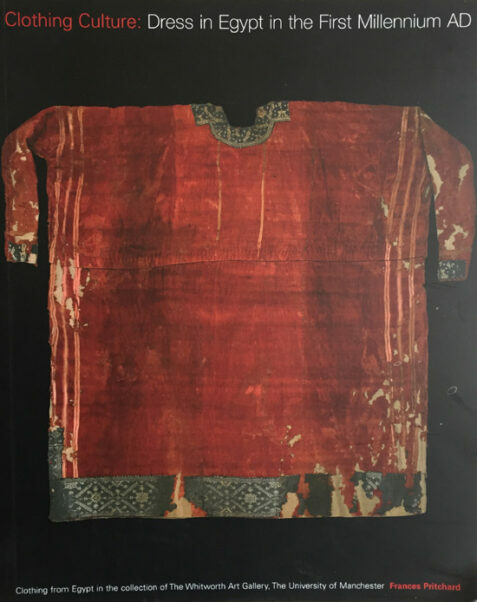 It includes such garments as tunics, cloaks and headwear, demonstrating the distinctive styles, decorations and colours of the costumes of the era. The card covers are in very good condition,with a little lifting of the laminate to the bottom fore-corner and mild handling marks.